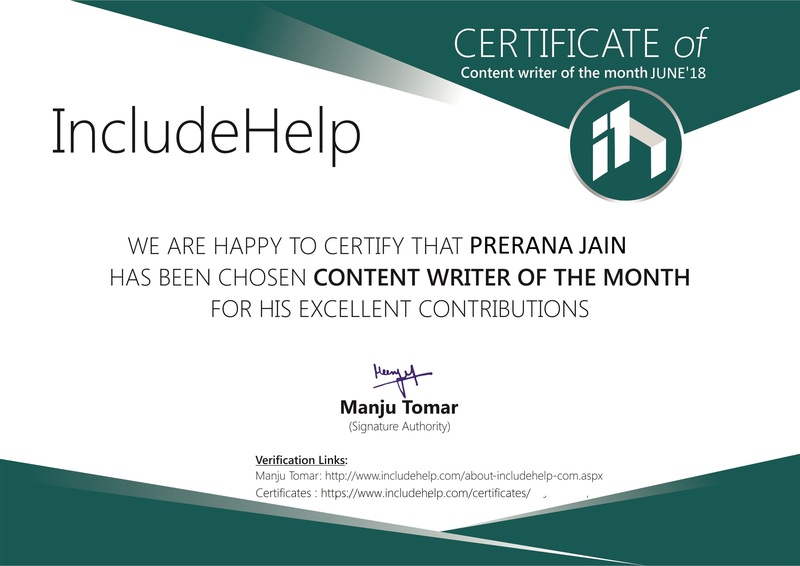 We are feeling glad to announce that Prerana Jain is the Content Writer Of The Month (June 2018) on the basis of her excellent contribution and her support to us. A warm thanks to Includehelp team for selecting me as the technical content writer of the month and giving me these opportunity to showcase my skills and passion. 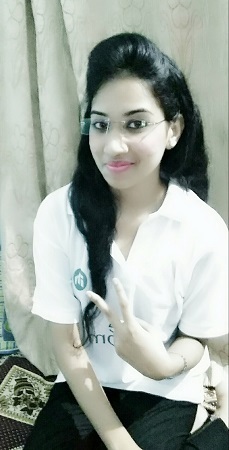 I have written almost 23 articles till now and my experience was great. Includehelp is an incredible platform to learn technical stuff and fundamental concept and core subjects of computer science. The best part of IncludeHelp is that the concepts are well explained, codes are easy to understand and everything is being explained in its simplest form. I learned various things through this platform but the major one is to realize the nature of viewer and identify the problems for which students are looking for answers. I would recommend IncludeHelp to all the students/developers to build their concept of computer science.